Amritsar/ Chandigarh: A day after the SGPC chief Kirpal Singh Badungar urged Punjab CM Capt. Amarinder Singh to stop display of Ads on giant LED screens on a street leading to the Darbar Sahib, the Congress party today alleged that the Ads were legacy of previous government led by Shiromani Akali Dal (Badal). In a written statement issued today, Congress party’s state chief Sunil Jakhar said: “They (the Badals) are responsible for this contract. So why are they blaming us now?”. He maintained that these Ads were “also a heritage from the Badals, who had given out 15-year contracts for these screens in sheer haste and had also failed to control the ad content”. 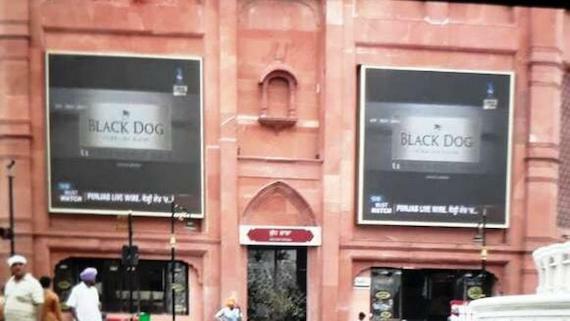 Notably, the SGPC chief had urged the Punjab government on Saturday to stop display of objectionable ads on LED screens on a street leading to the Darbar Sahib. He had requested CM Amarinder Singh to restore telecast of Gurbani on these screens.